Graffiti has been an interest of mine since my early days of childhood. The whole urban culture became a part of me and has stuck with me from then. I was always doodling made up tag names and drawing on my bedroom wall, which didn’t go down too well with the parents, but boy were they masterpieces in my eyes. Also spending countless hours on graffiti-creator having the best time ever! I have such a passion for graffiti that I even had it as my subject for my dissertation at university! 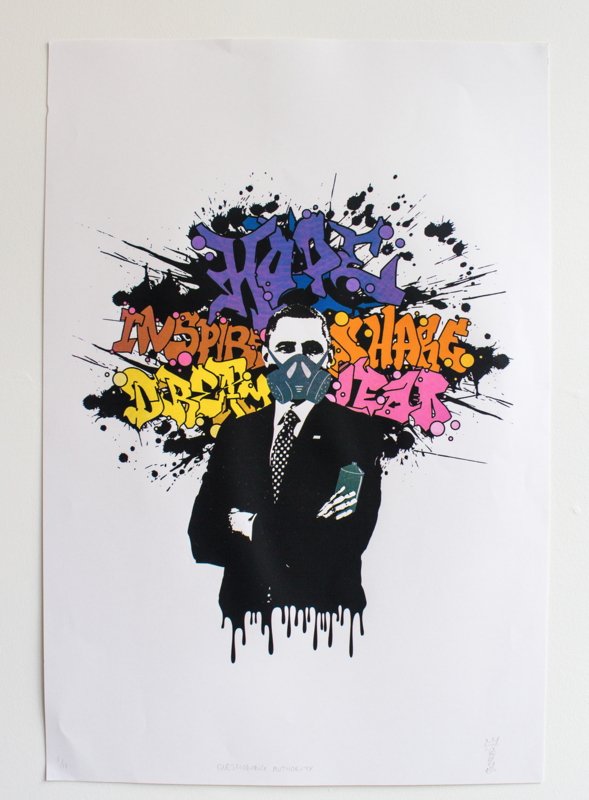 Below is one of the pieces I created featuring the ever so awesome Obama! Not many know that graffiti is one of the 4 elements of Hip Hop unless they’re in on the scene. 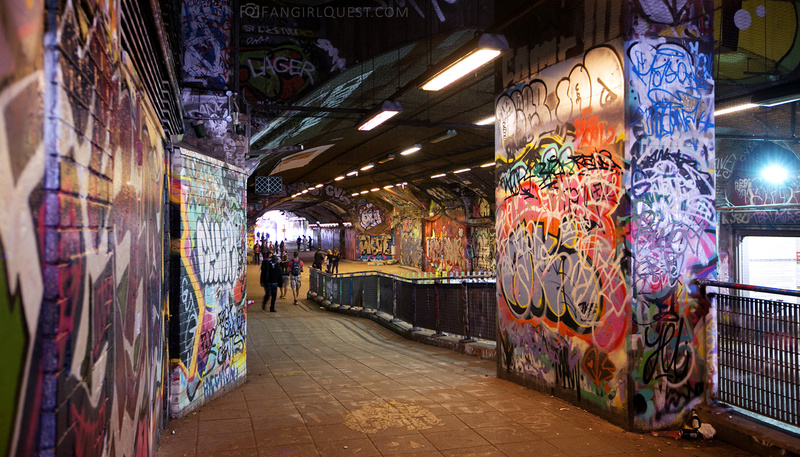 There is a whole history behind the scribbles and throw ups on the walls of the streets. The remaining 3 elements are DJ-ing, B-boying and MC-ing. 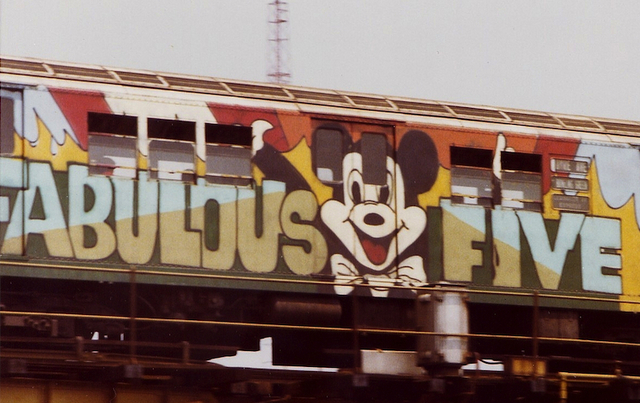 Over in the US, The Bronx is known to be the place that graffiti really started having a voice in the 1970s. The youth of the area would paint the subway with their tags to get recognition around the city, as the tagged sub cart would go around. The bigger the better and the more daredevilish the better the chance of being crowned the king. It was also used as a rebellious method against the officials in the city who wouldn’t invest in living standards in the Bronx. 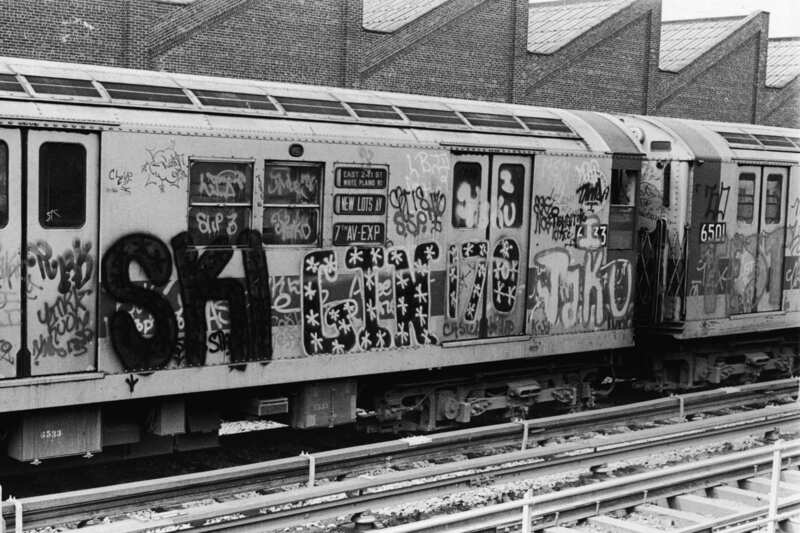 Since the 1970’s until now, the journey that graffiti has been on is phenomenal! 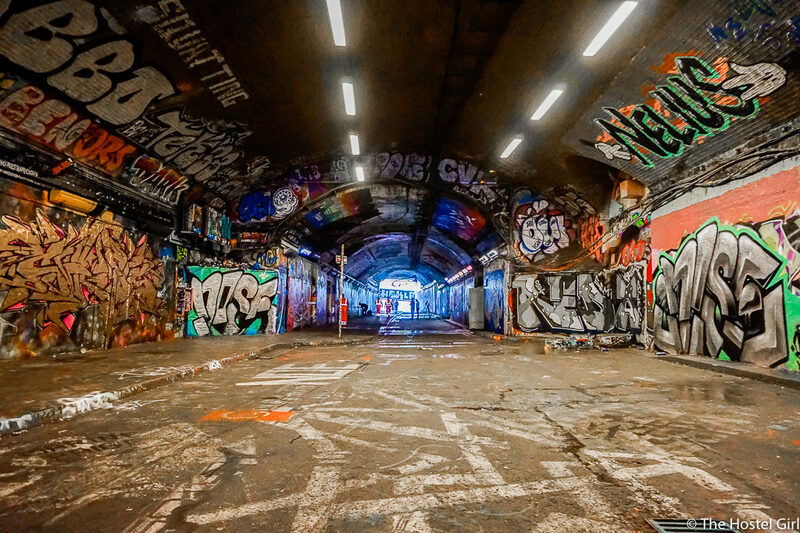 You wouldn’t see big brands such as Nike or Adidas using graffiti in their advertisements back then but in this day and age it’s become quite the norm to see legal graffiti around or used in guerilla marketing campaigns. 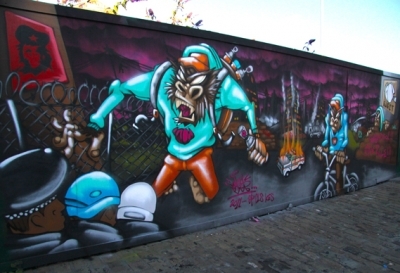 There are even spots around many cities in almost every country where graffiti is legal. 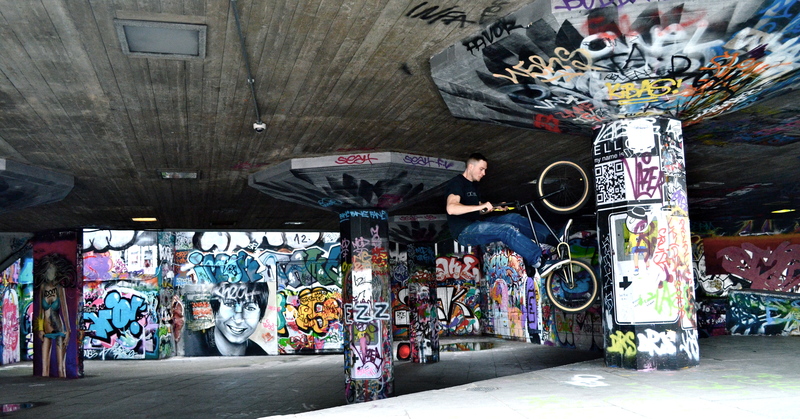 I have two favourite spots in London, Leake Street Tunnel and a skate spot in Southbank. The walls are forever changing and it’s just so nice to watch fellow artists express themselves freely whatever the time may be, there is always someone down there creating something beautiful. The increase in popularity for graffiti caused the rise of the biggest graffiti and street art festival in Europe called Upfest! 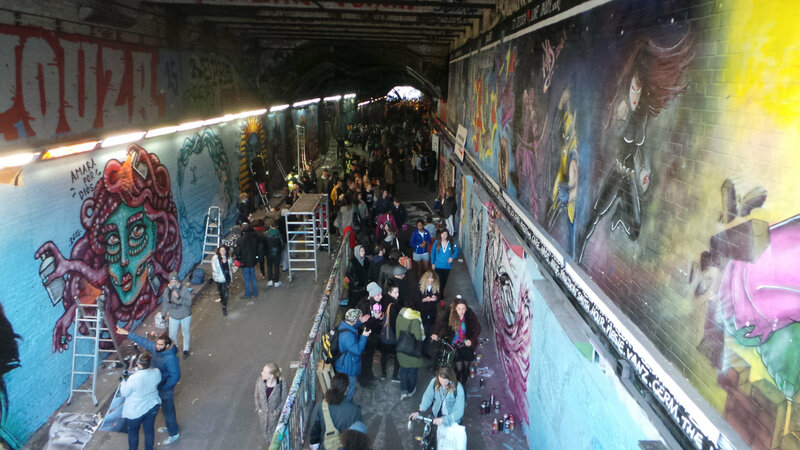 It is based in Bristol and happens just one weekend every year since 2008. Volunteers run the festival and its profits go towards a local charity called Nacoa.9 When it started in 2008 there were 40 artists and a few hundred visitors. This year over 700 artists applied, with 350 selected to attend and they were from 43 countries! On top of that there were over 50,000 visitors!10 What a difference, mind, blown. Let us not forget someone who brought graffiti into the limelight for both positive and negative reasons. The man, the legend, the myth, Banksy. While he isn’t my favourite artist, he really managed to open doors and eyes for himself, artists and the public. 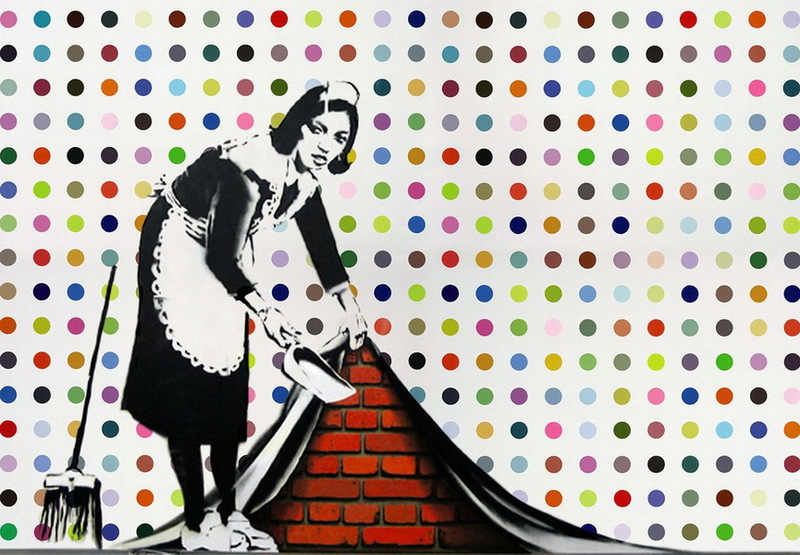 Causing commotion with his controversial pieces that popped up out of nowhere in busy places created a stir worldwide. His pieces are being sold and not just for a small amount, hundreds of thousands is the most typical price range. His most expensive piece sold to date is ‘Keep it Spotless’ with a breath-taking price of $1,700,00! Auctioned off on February 14 2008 in New York.11 What a lad. 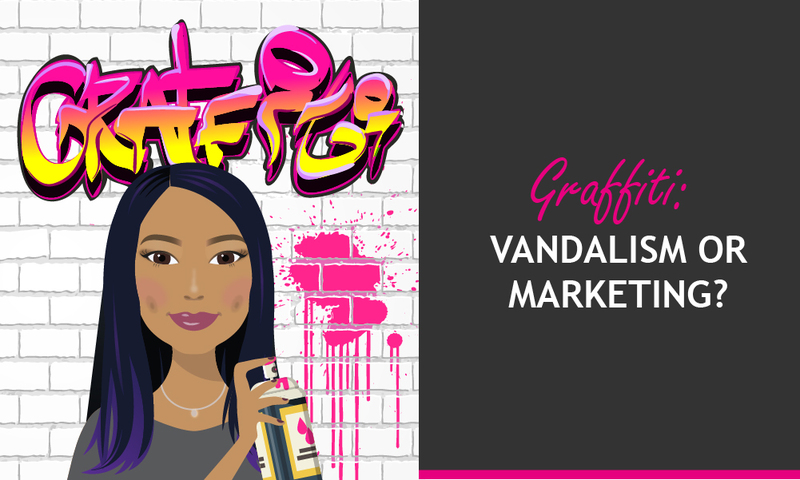 There is a lot of controversy around the use of graffiti in marketing, but let’s be honest, when has graffiti not been a controversial topic? 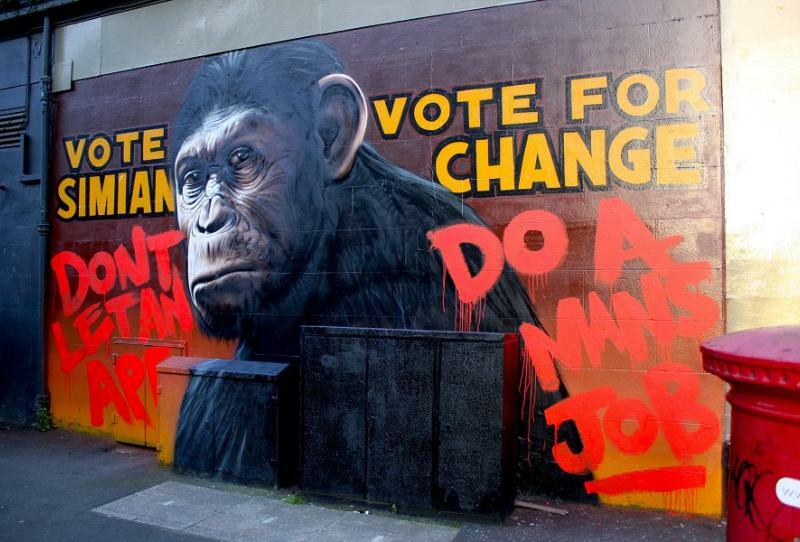 One of the best guerilla marketing campaigns that used graffiti was done by Fox movies for the release of the film ‘The Rise of the Planet of the Apes’.12 They hired some of the best graffiti artists in the world to do this and the campaign stretched across their route from Glasgow to Brighton. The interaction from the public with this campaign was a success, beyond what many people thought possible. There were photos going up instantaneously from people passing by and seeing that something interesting and not part of their daily routine was going on. As this was live it was in a constant state of change, which enabled people to see it develop over a few days and it was nice to see the artists in action too. An awareness was created that resonated with the audience, causing the campaign to go viral. The public started noticing that it was about a film, which started to get a lot of talk around it, and people who may not have been very aware of the film definitely knew about it now. Of course there are people who are completely against graffiti, no matter if it’s a guerilla-marketing stunt or a completely legitimate marketing campaign. Just because of the stigma attached to the idea of graffiti they will not accept it. 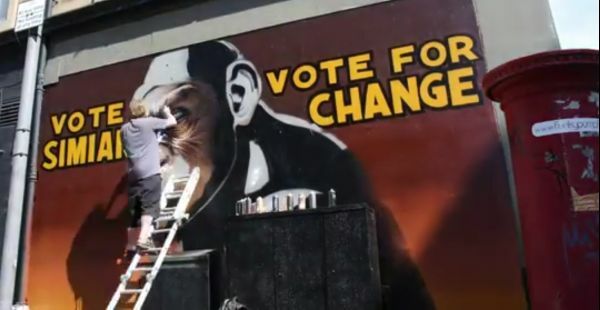 There is even a movement against advertising billboards and murals by the Public Ad Campaign’s very own Jordan Seiler, where they go around whitewashing any graffiti associated with advertising.13 I personally find that very disappointing. Graffiti offers a really unique approach to marketing. It connects to the youth market and grabs their attention – something that can be hard to do these days. 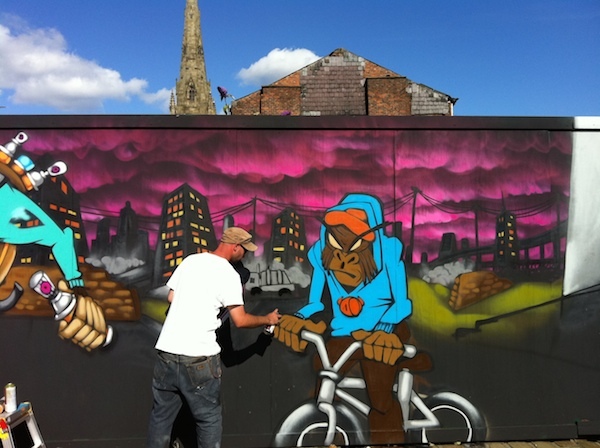 What graffiti can also offer is a sense of unity amongst different communities and organisations, especially when young and upcoming graffiti artists are given a large platform to share their work. Involving the community in this way is a great opportunity for brands to show their appreciation for the art form, and as a result, can inspire customer trust. The design of graffiti can evolve in so many ways, not just through paint and markers, but digital projections, screen prints, videos, you name it! Graffiti has no limits, and that’s what makes it so special. Conclusion? Hope we see more of it in marketing in 2018!